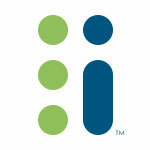 Meeting Professionals International (MPI) released the Summer Edition of its quarterly Meetings Outlook special report. This edition reveals interesting trends around growth, a continued rise in popularity of virtual and hybrid meetings, and a trend to implement technology to do more with less. 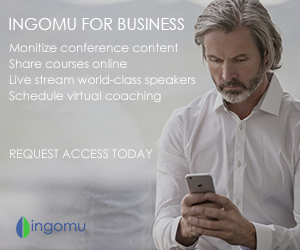 The report finds that virtual meeting attendance is anticipated to grow in the next year by 3.9 percent, almost twice the rate of live attendance, at 2 percent. 52 percent of U.S. respondents and 59 percent of European respondents have a favorable budget outlook, expecting, on average, an increase of 2.1 percent. In an effort to do more with less, 22 percent of respondents are condensing meetings into less time, 13 percent are increasing the use of technology and another 13 percent are holding more local or regional meetings to reduce travel expenses. 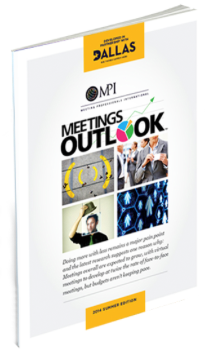 Meetings Outlook presents future industry trends and predictions from MPI members, including meeting professionals on MPI’s Business Research Panel. Every quarter, research firm Association Insights surveys the panel, asking a short series of quantitative questions related to the economy and a qualitative question regarding the individual’s professional outlook. The survey provides a quarterly tracking of current business conditions and future outlooks. Meetings Outlook is developed in partnership with the Dallas Convention & Visitors Bureau, and is supported in partnership with the IMEX Group.